Posts tagged "grassroots movement to change our homeowners board"
Karol and I purchased a house in a very nice neighborhood about 8 years ago. Before that she was stationed in Pennsylvania, and I was living in a little three-bedroom house I had purchased after my divorce. I loved that little house because it was something I bought on my own with my own credited and just my income. It felt like a major accomplishment to be able to provide that for my kids. It was a very small house in a working class neighborhood and I loved it. I was a single working mom, and my kids went to daycare at a Baptist church just outside the neighborhood. While at the daycare my younger son became good friends with one of the other boys and was invited to a birthday party. When I took The Genius to the birthday party I just thought their house was the most elegant and beautiful home I had ever been in. I drove around the neighborhood and just fell in love with it. The houses were pretty, there was an elementary school in the neighborhood, a pool, tennis courts, and it was clean and tidy. It was just a very pretty place, and I wished I could live there. Fast-forward about 6 months, and Karol was up for orders. We wanted her back in Virginia, so she chose to go back to sea duty and was able to get orders back to Hampton Roads. We were ecstatic and I started looking for homes. Of course the first place I looked was in the neighborhood that I had fallen in love with and a realtor and I started looking at houses. There was one house I really liked, but unfortunately by the time my realtor was able to write up a contract and get it to their realtor, the house was already under contract. What a bummer. So Karol and I expanded our search area and started looking in Hampton as well as Chesapeake and Suffolk. We actually started looking into building a house in Hampton, and gave them a down payment, and then I realized (thank goodness) that the house was being built on wetlands, so although we were promised a ¼ acre lot, 90% of the ¼ acre was on wetlands and we could not utilize it as a backyard. Since this was not disclosed to us when we made our down payment we were able to get out of that deal, and found ourselves back at square one. However, as it turns out the house I really loved in Suffolk was available because the buyers had not been able to secure financing. Their loss was my gain, and Karol agreed to let me start paperwork to buy the house. It is the house we live in now, and it was in the neighborhood I fell in love with, Burbage Grant. We moved into this neighborhood in July 2006, and spent that summer getting acclimated to a new neighborhood, and a new town. The next summer our youngest two kids joined the neighborhood swim team, and had such a great time hanging out with their friends from school during the summer. It was a wonderful experience for my kids, and we became a part of the swim team “family”. Unfortunately there was some pushback from some of our community leaders against the swim team and we had a very bad experience with the Homeowners Association Board, which I wrote about. Because of the negative, and very public way the HOA Board opposed the swim team, the parents got together and decided to start a grass roots movement to unseat the board and oust the negative board members who had been on the board for at many years with no opposition. 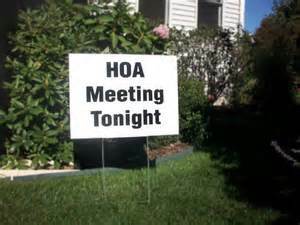 In fact, the people who live here had become so apathetic because we did not feel the HOA Board was reasonable, that no one even bothered to show up to the annual meeting to try to make a change. It wasn’t until a group who has a shared interest in something they value felt threatened, that we were able to get the ball rolling for change. One of the parents stepped up to run for a seat on the board, and other neighbors who supported the swim team but did not have kids on the team also stepped forward. The team parents gathered their momentum, and proxies, and we successfully voted in a new HOA Board that was more positive towards the team. Democracy is a beautiful thing. We thought this would move the neighborhood forward in a positive way, however we were wrong. The previous HOA President took every opportunity to speak negatively about the new board, and even started quite nasty threads on a Facebook page. He made snide comments about the newly appointed board president, and called him out publicly on several occasions. He accused the new President of not understanding the HOA finances, and spending money thoughtlessly, and not being a team player, amongst other things. He rallied supporters and they would attend each monthly Board meeting with the intention (at least that is how it appeared) of undermining the President at every turn. This caused a very clear divide in the neighborhood and people started bickering publicly on Facebook. Talk about a public way to bring down our house values!!!! Well, I am glad to report that just this week we had our annual meeting. It was extremely well attended, and both sides of the debate brought in people and proxies so they could attempt to sway the vote one way or the other. The old guard was not successful, and again for the 2015 year we have people on our HOA Board who believe in community unity and family activities, as well as fiscal responsibility. I can only hope that with this second round of the community speaking quite loudly the troublemaker will finally slink away and realize his time is done. I love democracy, and the ability to make changes with voting and canvassing. This is our democratic process in action, and it makes me proud that I believe in something so much that I am willing to fight for it! !